Also called "rainbow calsilica," this is a man-made material that displays vibrant layers of bold color. It consists of a mixture of calcite, plastic and coloring pigments. 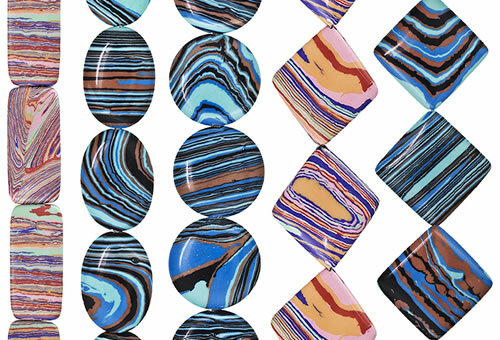 This unique stone is often used in jewelry and carvings to show off its distinctive coloration. Calsilica has multicolored stripes or layers of granular material. Occasionally bubbles plastic-like material or bubbles are seen between layers.